Drying Ink: Article | Newcomer's Guide to the Genre - Where to Start! Article | Newcomer's Guide to the Genre - Where to Start! We've all been there - we weren't born reading SFF. ...With some exceptions. Sam Sykes, perhaps. But leaving this disturbing image aside, where should newcomers start - based on what they already enjoy? Well, this is my brief - and very subjective! - attempt to tackle this problem: I've grouped my picks by the genre (outside SFF) you're reading now. As always, tell me what you think, and what I've missed out, in the comments! 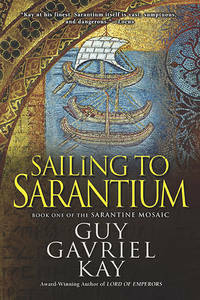 If you're already into historical fiction, the minimal-magic setting of Guy Gavriel Kay's historical fantasy is a small step: and to me, the best place to begin is the recognizable 'Sarantium' (Byzantium) of Kay's Sarantine Mosaic duology. 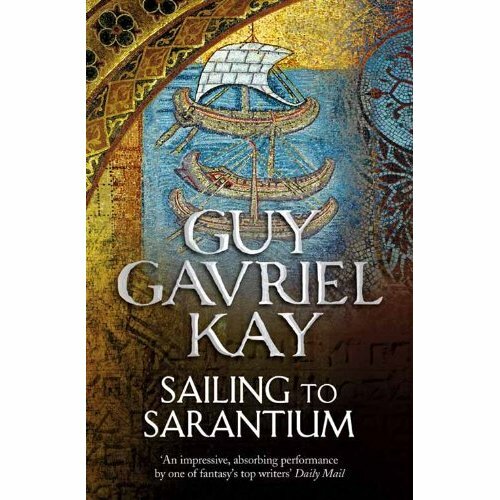 Guy Gavriel Kay combines genuine historical interest with his characteristic prose to produce something that, while fantastic, could easily be a historical. For an extra bonus, it's got some nice Yeats allusions - and some very funny moments. Put bluntly, the first few volumes of the Dresden Files pretty much transplant the noir PI into fantasy: and the character is familiar. Of course, Harry Dresden quickly develops beyond that, as does the series itself, but it's a great transition for anyone interested in crime and looking to get into the fantasy genre. It's also a lot funnier than most UF, which can only be in its favour. I'm hesitant to call this a type of fiction - you can find literary qualities in any genre - but for those of you who enjoy a dominant theme, I'm definitely recommending China Mieville. And a good place is to start is with The City and the City (not-so-coincidentally one of my favourites as well): which also serves as a crime novel. The role of the fantastic is contained to one element, but aside from the talent of Mieville himself, The City and the City also has rather cutting insights into the nature of life today. Which, of course, I can't really say more about - it would ruin your chance to find out for yourselves! Let's just say the speculative element won't disappoint. And that if you're wondering what on Earth is going on... Well, that's normal, too. What are your suggestions, for these or other genres? Ever encouraged someone to try SFF yourself? Comment below and tell me! I agree with The City and the City, which is awesome, but I still haven't discovered what it is about The Dresden Files that makes it so popular. I would recommend to new genre readers Scott Lynch's The Lies of Locke Lamora because it's just so much fun. Glad to find another reviewer who really enjoyed 'The City and the City' - as for the Dresden Files, how far have you read? For me, one of the factors is, compared to most modern fantasy, they're rather short and -ver- fast paced: good for sitting down with or reading when you haven't got time to make a huge investment into a very complicated series. Lies of Locke Lamora is great, too - though didn't enjoy the sequel so much. Isn't the third coming out soon? I read the first two books (well, I listened to them, actually) and it's only because of the fantastic narrator that I got that far. I've heard that it's the fourth book where the series gets good but I don't have the patience to wait that long. I had listened to the audio book of Red Seas Under Red Skies and loved it. I've heard that many readers were disappointed with the book so I'm assuming that it just translated very well to audio format. Hopefully the third one should be coming out this year.